Alden Projects™ brings together rare and rarely seen practical objects—prints and ephemera by Roy Lichtenstein comprising the artist’s complete works published from 1968-1969 by the visionary publishing house / gallery, On 1st located on New York’s First Avenue at 63rd Street. Part Pop Shop, part fashion boutique, On 1st was the brainchild of Marilyn Monroe photographer, Bert Stern. Conceptually and architecturally original, the enterprise published, displayed, and sold affordable “practical objects” in typically small editions by contemporary artists including Lichtenstein, Gerald Laing, Billy Apple, James Lee Byars, Sven Lukin and Bert Stern himself. Situated in an architecturally mind-blowing, Marshall McLuhan-inspired, high tech east side gallery designed by an architectural group named The American Thought Combine, On 1st opened around December 1968 with apparently very little inventory. 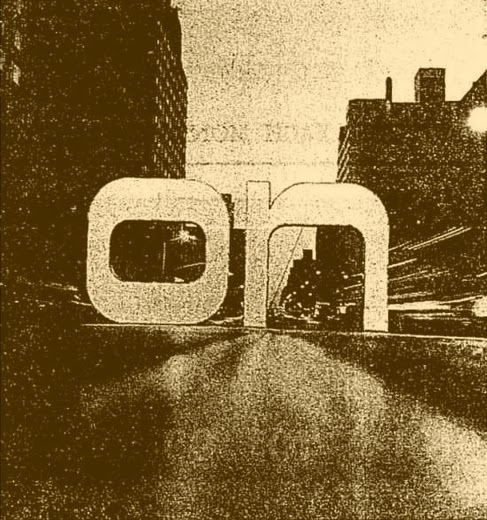 Erected at the shop’s entrance was a two-ton installation / functional sign by artist, Sven Lukin in giant-sized, illuminated lettering reading, “ON”. According to a contemporary account, “the ‘O’ is lined with nine TV screens which reach into the store. One may scan the action; another played a taped conversation; a third, advertise(s) what is being sold inside.” This quixotic, McLuhan-esque dream of a boutique filled with mostly small editioned, functional objects by artists burned with a hard, gem-like flame. Not surprisingly, it closed its doors nearly as soon as they opened: it seems to have closed after a few weeks or perhaps a year at most, depending on which differing account is correct. It’s not difficult to imagine, however, that a boutique sponsoring mile-long dresses and $30 scarves by artists could have ever expected to recoup even a tiny fraction of its expenses, not the least of which was the reported $150,000 construction budget—which of course would translate into over million dollars today. Bert Stern’s enterprise commissioned practical objects for an impractical setting, dedicating itself to an unsustainable dream. 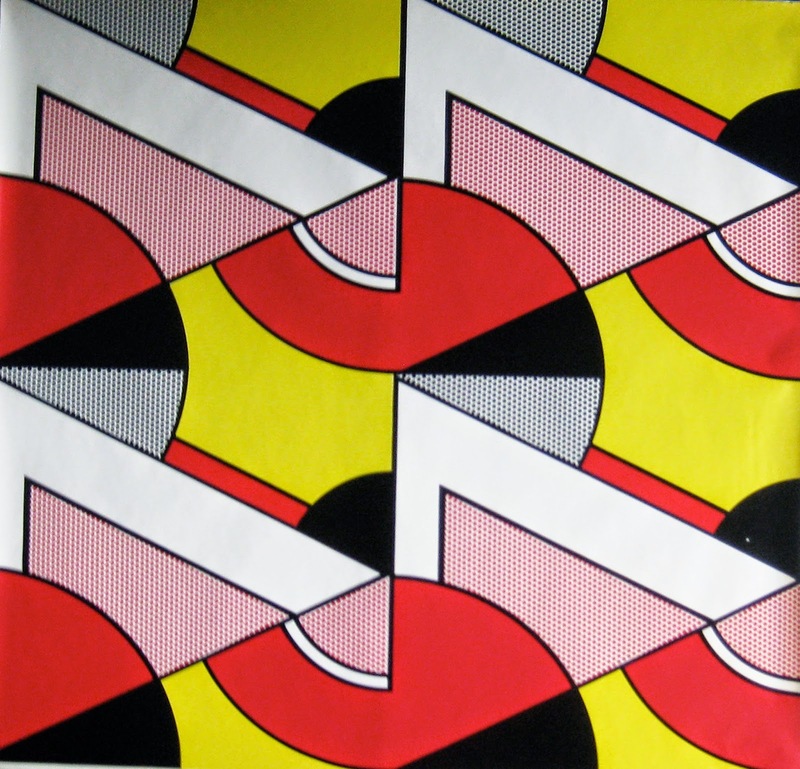 Few practical objects---the wrapping paper and wallpaper, for example--by Roy Lichtenstein were ever disseminated through On 1st; those that were almost certainly fell into the dustbin of history. This historically focused presentation recollects everything Lichtenstein produced for Stern, probably for this first time in retrospect. Alden Projects™ is pleased to exhibit additionally, a unique production maquette produced for On 1st (1969-70) for an intended edition of paper cups that had been originally designed by Lichtenstein in 1967 and which was inspired by the same impulse as the paper plates, but which, unlike the latter, was never realized. Part of Alden Projects™ function is to address the loss of historical memory. Along side this particular historical focus on Roy Lichtenstein’s work for Bert Stern’s On 1st, Alden Projects™ also presents prints, mailers, and ephemera by the artist also from 1960s along with other seminal “practical objects” by first generation Pop artists, including Robert Indiana and Andy Warhol. “Some famous artists in New York City are turning out art that’s not for art’s sake alone. And specializing in just this breed of art is ‘On 1st,’ a boutique opened by the photographer, Bert Stern at 1159 1st Ave. at 63rd Street. Because of a belief that art and everyday life are coming together, creating a demand for art as a part of one’s physical environment, Stern has provided a practical outlet for the artists. But vying for attention with the "practical art" in the shop is the dramatic decor that envelops those who venture thru the giant letters and inside. The facade of one-story-high letters, which weigh two tons and spell "On," is the work of artist Sven Lukin. Purchase general admission tickets here.